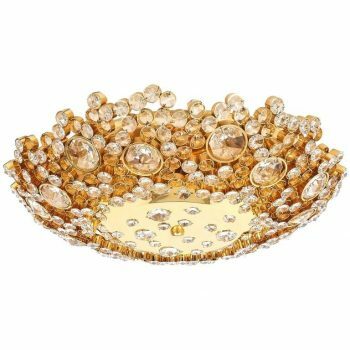 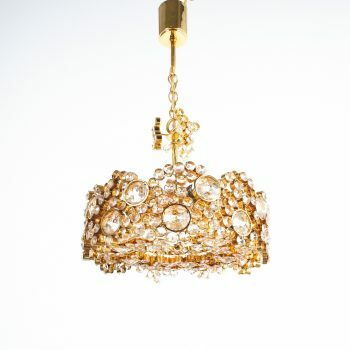 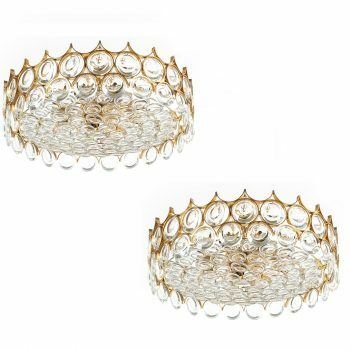 Palwa XXL Refurbished Gold Plated Brass and Glass Semi Flush Mount. 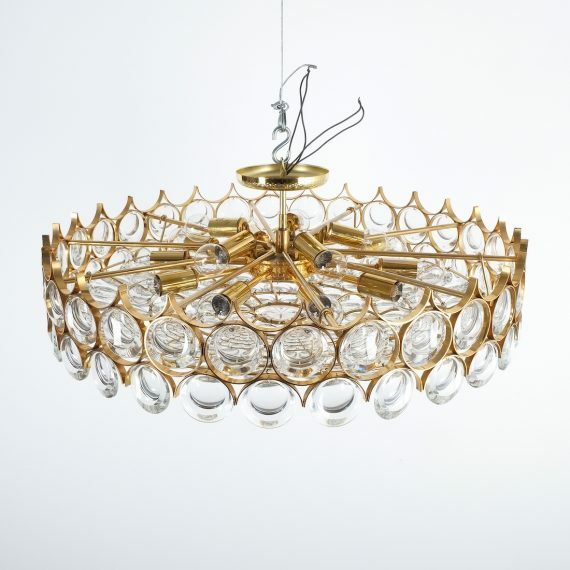 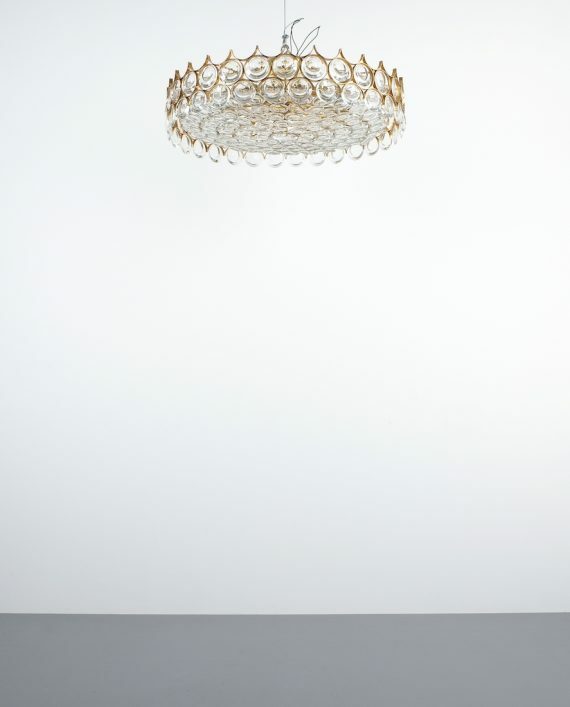 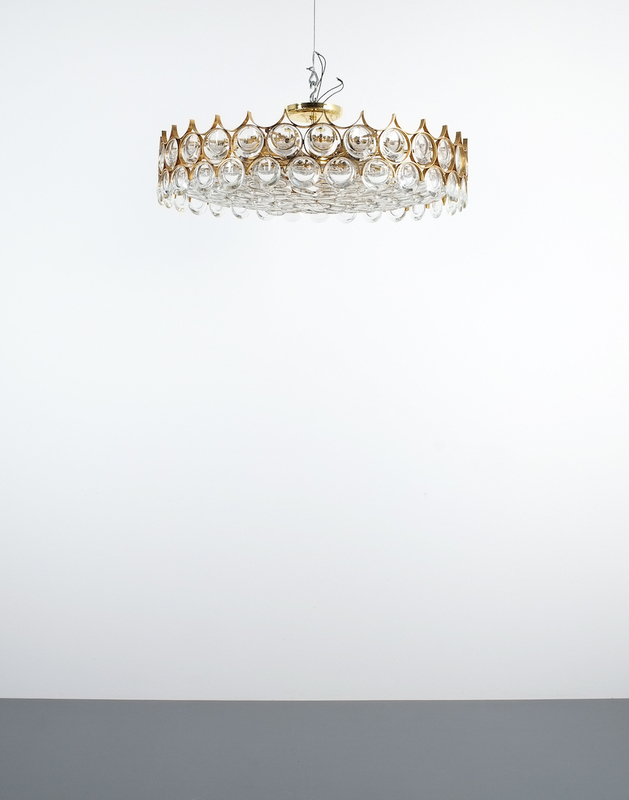 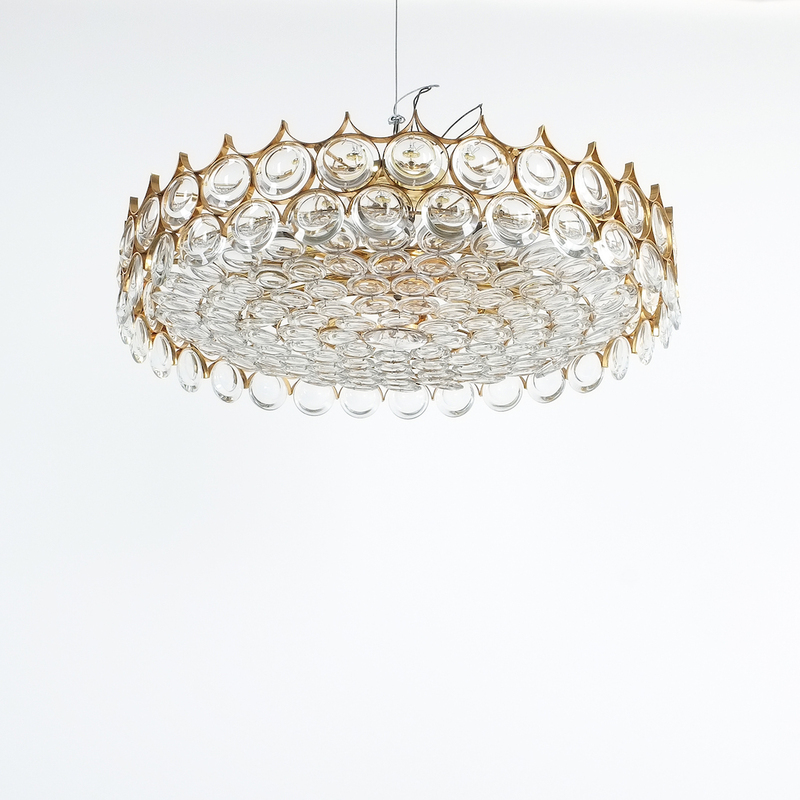 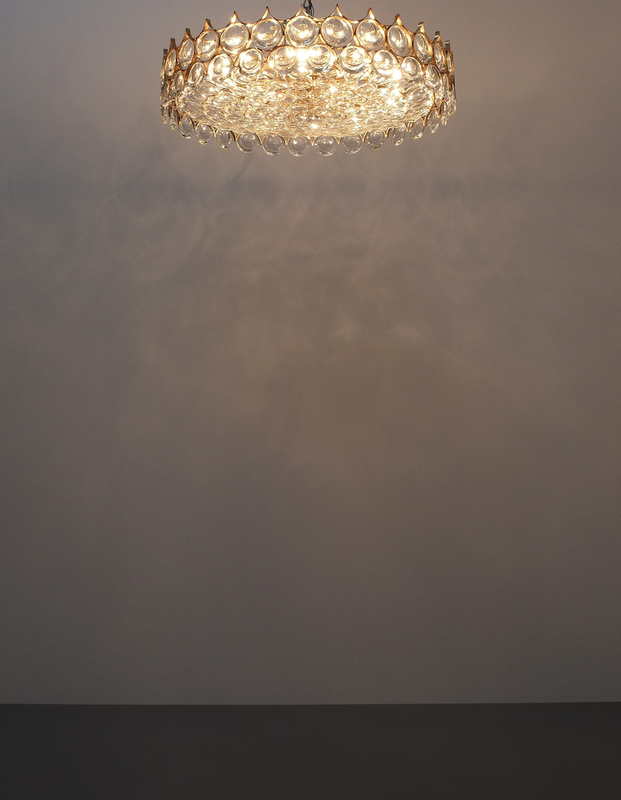 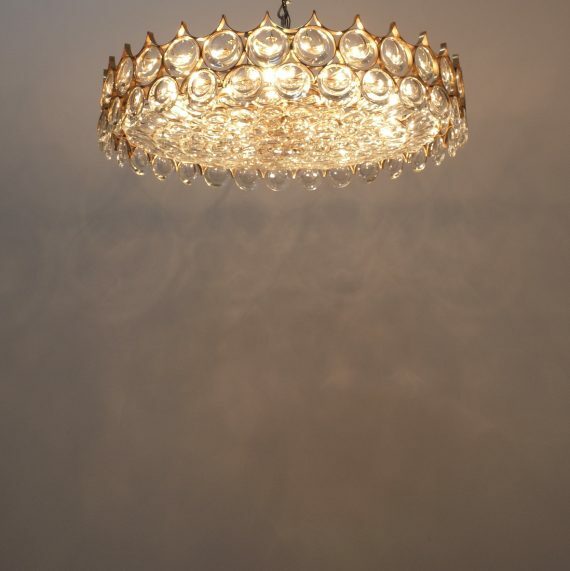 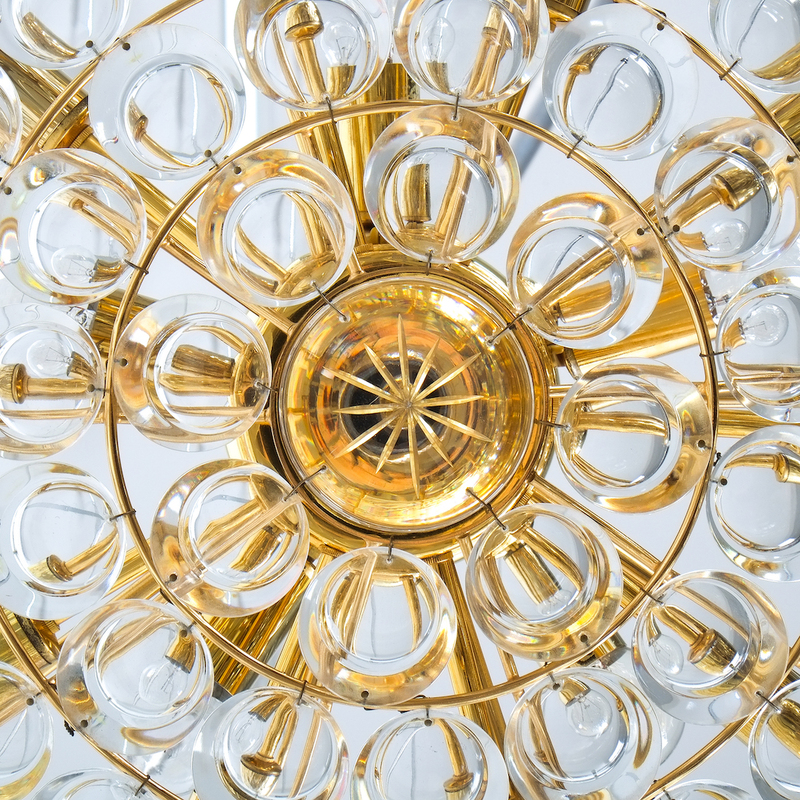 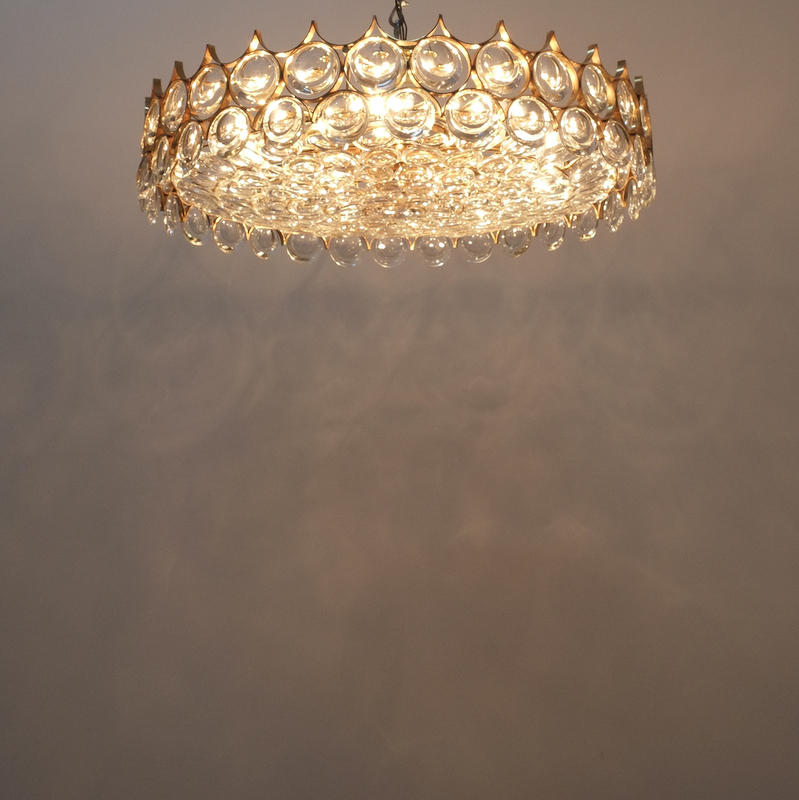 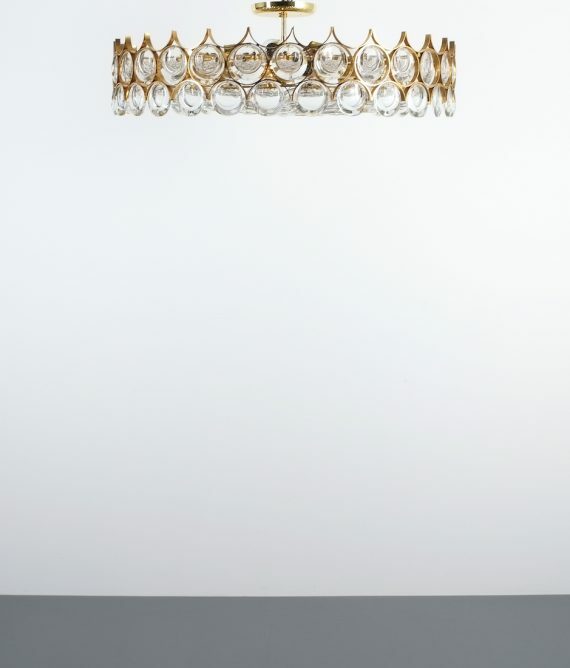 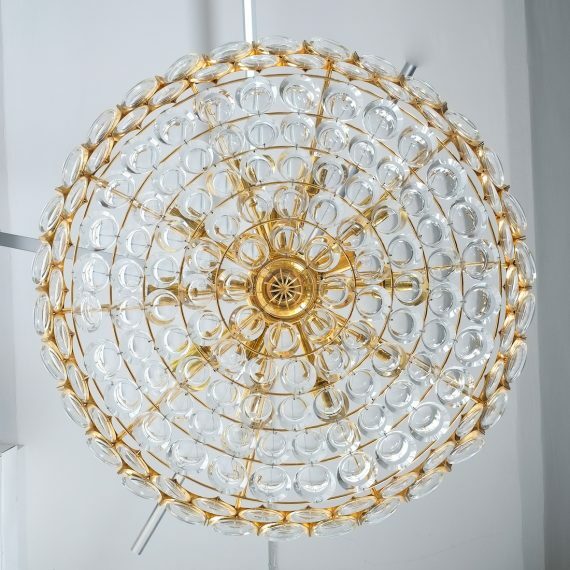 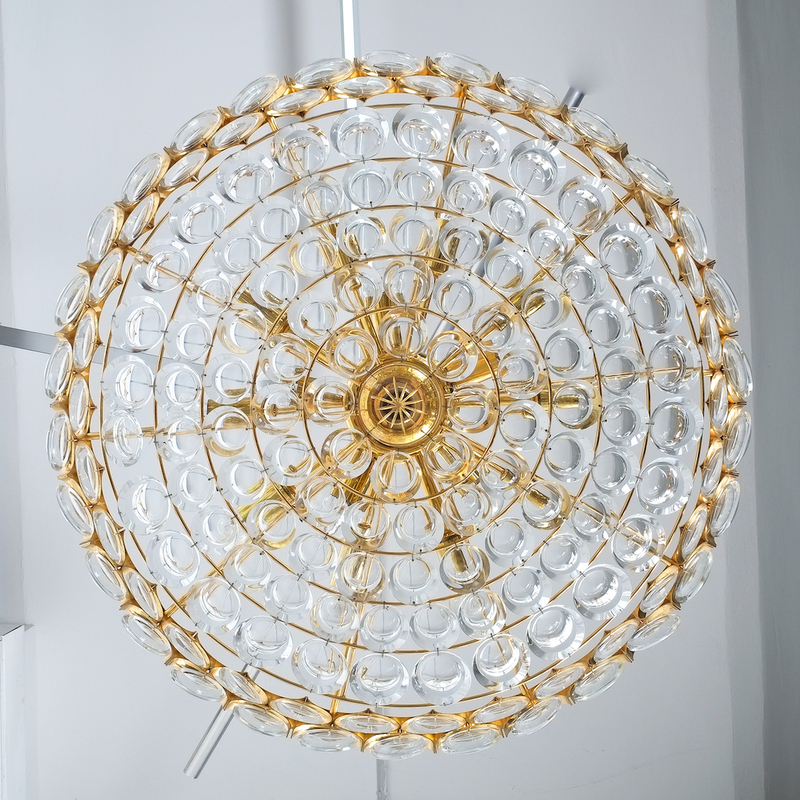 27″ gold-plated ceiling lamp in minimalistic design and meticulously executed. 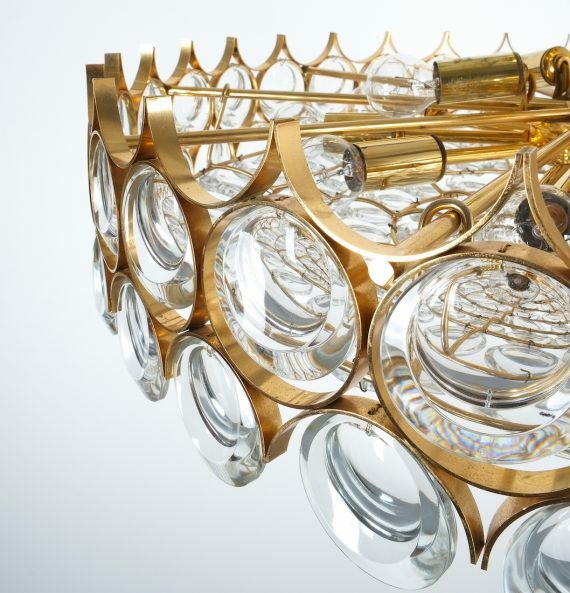 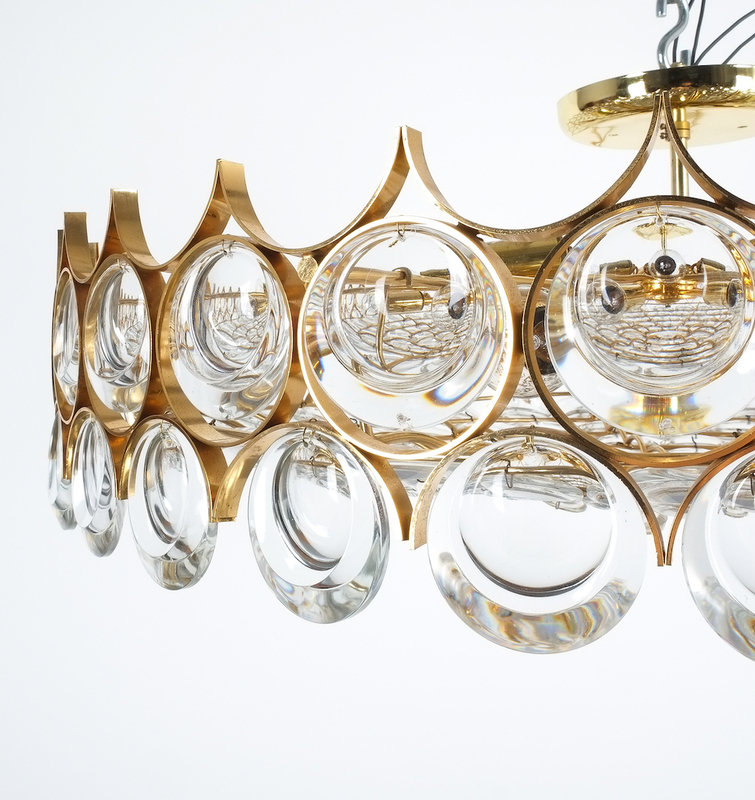 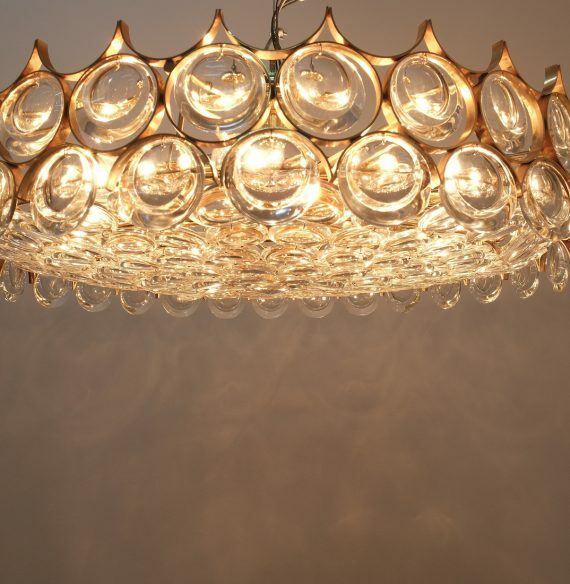 With 15 bulbs this piece illuminates beautifully. 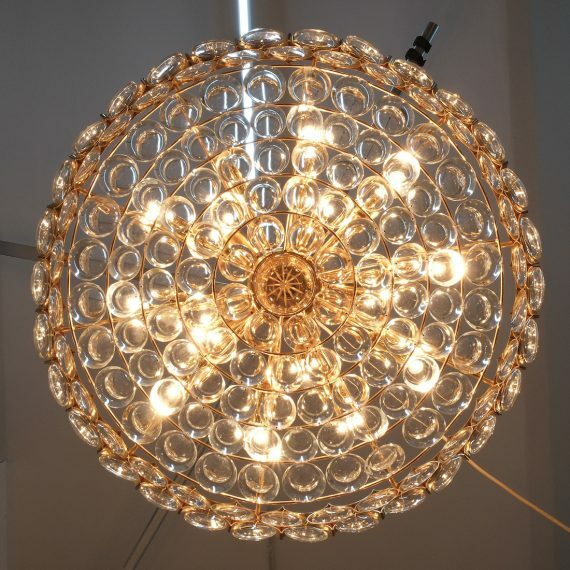 it has been professionally refurbished and rewired for US standards (110V). 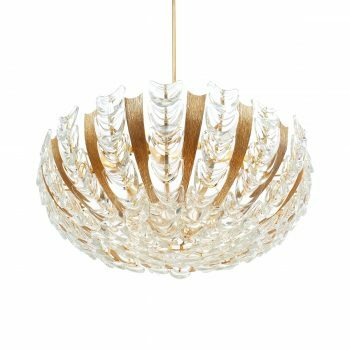 We have other lights by the same manufacturer available.